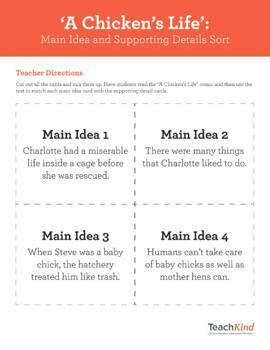 Recognizing the main idea of a text is an important skill that children need to develop in order to understand what they read. 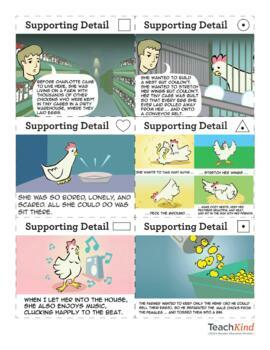 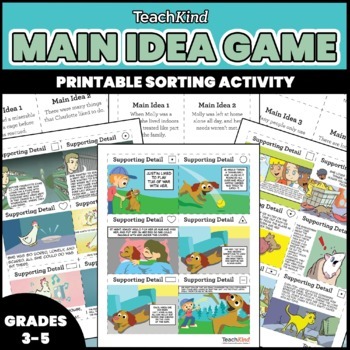 Use our new Main Idea and Supporting Details Sorting Game along with our comic books to help students work on this skill while learning how to be kind to animals. 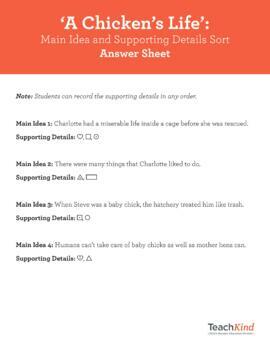 The activity is great for them to do in pairs or small groups, and it can be used in reading centers as well.